The popular HON 38000 Series is America's best-selling steel desk collection. Add security to any HON 38000 Series 60"W Stack-On Storage with these lockable flipper doors. Locks are concealed for a sleek look, and doors glide smoothly over the top edges on steel ball-bearing slides. Finish color is Charcoal. 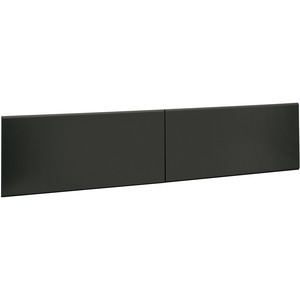 Product Name: 38000 Series Flipper Doors, For 60"